Teachers and staff in K-12 schools are experiencing an increase in transgender students attending their schools. The Transgender Education Program is a new professional learning opportunity for K-12 teachers and staff created at Arizona State University that focuses on the social, emotional and educational needs of transgender students. The Transgender Education Program is designed to provide staff with the knowledge and understanding they need to help transgender students be successful in school, and to promote affirming schools where all students learn and thrive. Complete a series of self-paced modules. Professional development clock hours certificate. Cammy Bellis is the Program Manager for the Transgender Education Program and lead developer of the TEP online module in partnership with EdPlus. She received her Masters in Educational Psychology with an emphasis in social justice education. Cammy has been teaching at ASU since 2009 and developed the first course of it's kind at ASU on transgender youth and families. Additionally, over the last 10 years she has presented to teachers, school administrators, counselors, and school psychologists on how to create safe and affirming school environments for LGBTQ youth in an effort to decrease harassment and bullying. Cammy was previously the Education Training Coordinator for the Gay, Lesbian, & Straight Education Network (GLSEN) Phoenix and former board member. 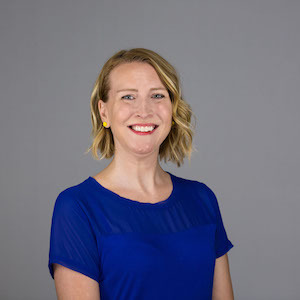 She is heavily involved with ASU's Commission on the Status of Women and leads workshops for faculty and staff on transgender student needs at the post-secondary level. She currently sits on the Transgender Student Support Working group and is the adviser to ASU's transgender student club. Liz Tollis has worked with children, teachers, and parents, and families in museums, public schools, afterschool programs, and Head Starts since 2002. She developed age-appropriate early childhood science programming at the American Museum of Natural History in New York, and she is proud to be one the original founders of P.S. 276, the Battery Park City School in lower Manhattan, which opened in 2009. Her family’s relocation to Arizona brought her to the T. Denny Sanford School of Social and Family Dynamics at ASU in 2014. Here she collaborates with researchers to create resources that build positive relationships among children and youth. Besides the Transgender Education Program, recent projects include a social-emotional intervention for use by middle school teachers and students, and a resource for parents and teachers that encourages the development of self-regulation skills in three to five year olds. She is honored to be a part of a dedicated team at ASU that creates excellent educational opportunities for a range of learners. She holds a masters degree from Bank Street College of Education. Shawn Kirkilewski-Flora received her degree from Ball State University in 2000 and began her career as an educator in public schools. She became part of the Project Connect team at Arizona State University in 2014. She collaborates with researchers in the T. Denny Sanford School of Social and Family Dynamics to develop and assess resources that prepare teachers with the knowledge and skills to improve positive peer relationships in the classroom. She has assisted with the creation of the Transgender Education Program in-person workshops and an online continuing education module. This course takes about 4-6 hours. How will the certificate (Professional Development Units) be sent to me? You will be able to view and download your certificate from your student dashboard after you have completed the course.